Dry fruit containing a single seed that does not open when ripe to release it, such as those produced by hornbeams (Carpinus betulus). 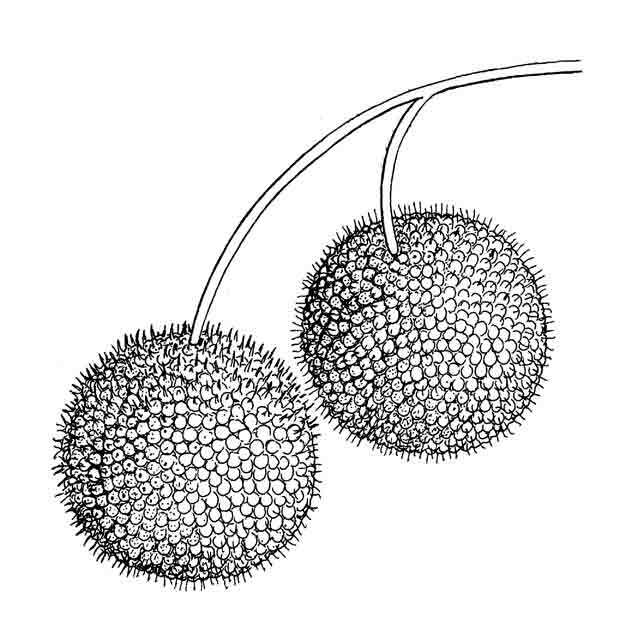 The fruits of the London plane (genus Platanus) form a ball comprising many achenes (polyachene). 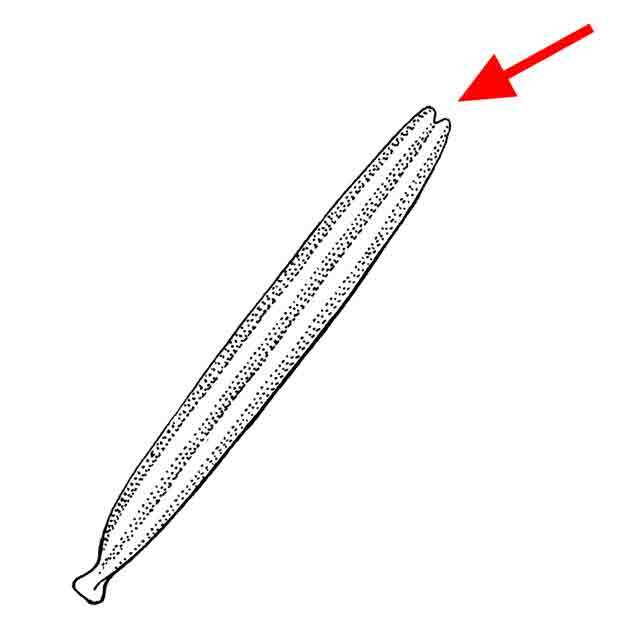 Needle-like leaf, long, thin and generally pointed. They are typical of, for example, pines (genus Pinus), some junipers (genus Juniperus), firs (genus Abies), and other conifers, or like the leaves of heather (genus Erica). Tapering to a point. 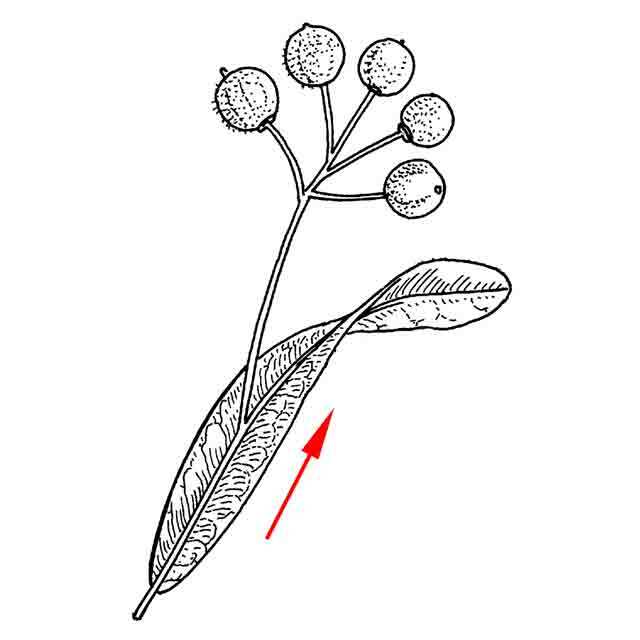 May refer to leaves or other parts of a plant. Leaves spaced along a stem with one leaf at each node. Each leaf is on the opposite side of the stem to the previous one. Extremity or point of a leaf or other organ. 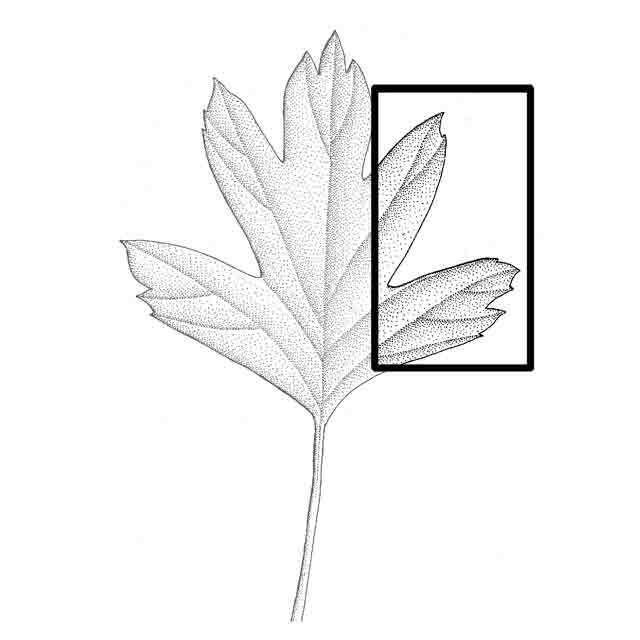 Lobes that appear at the base of the leaf and which are usually differentiated from the other lobes of that leaf (where present), as they are more separated and distinct. 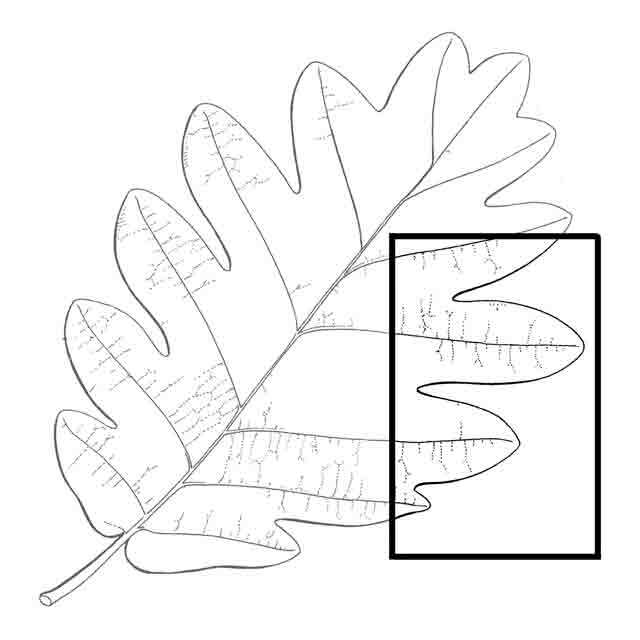 This is characteristic of the English oak (Quercus robur L.). Fleshy cover that partially wraps around the seed, forming a similar structure to a fruit, although it is not. In the case of the yew (Taxus baccata) it is a bright red colour. 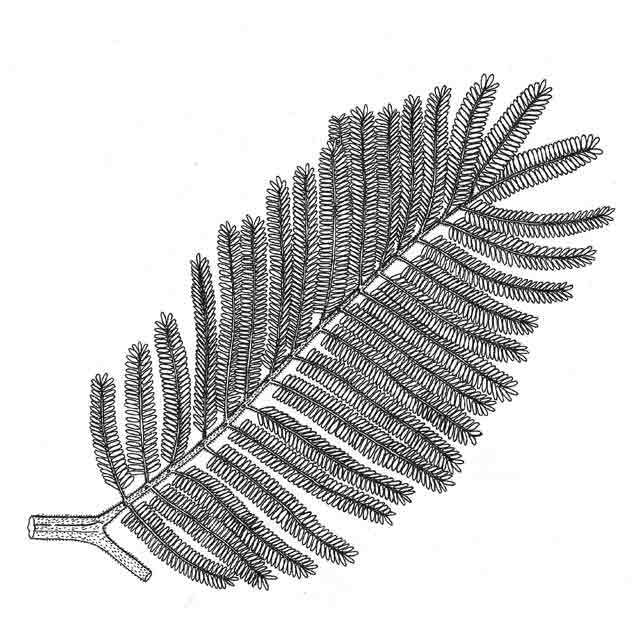 Located where the leaf stalk joins the stem or branch. Fleshy fruit surrounded by a thin skin that has juicy pulp inside, such as those of the laurel (Laurus nobilis). 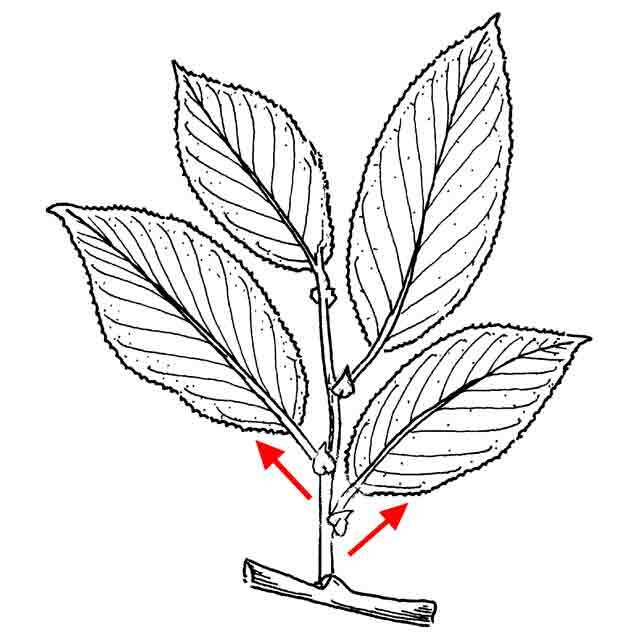 Relating to a leaf formed of several leaflets located on both sides of a main axis (stalk). 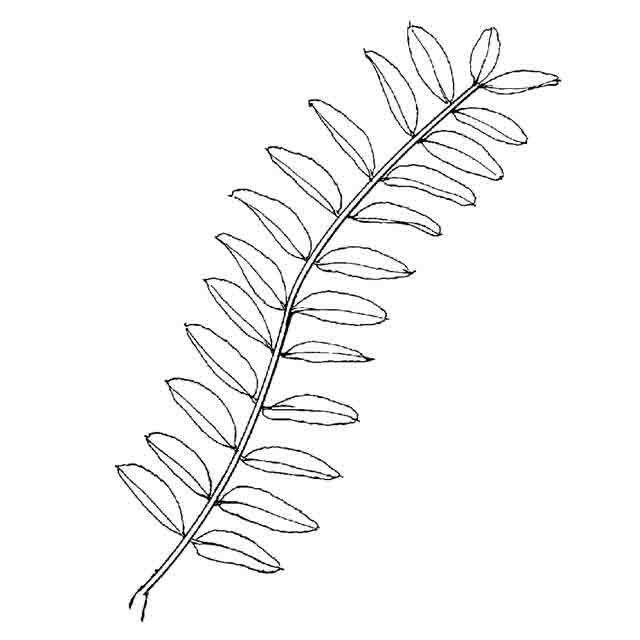 When this structure is divided, i.e., it is repeated twice, the leaf is bipinnate. This means there is one main axis and then secondary axes which bear the leaflets. It is equivalent to being twice-pinnate. 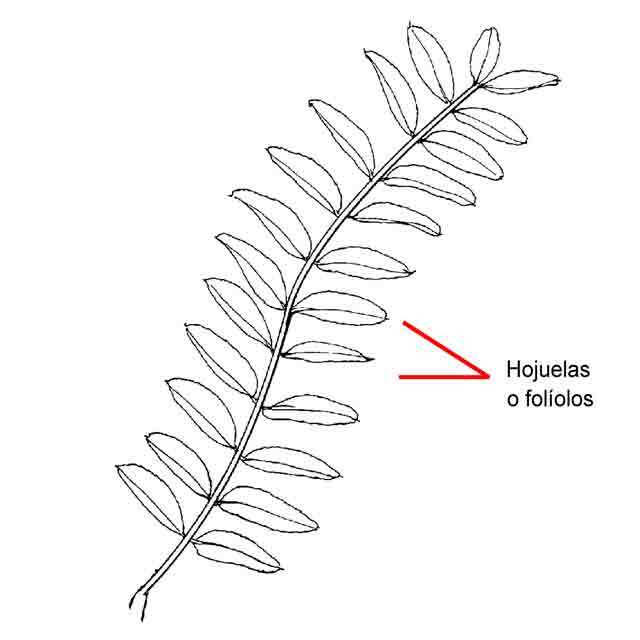 This type of leaf is typical of, for example, many acacias (genus Acacia), the honey locust (Gleditsia triacanthos), and the white cedar (Melia azedarach). A somewhat fleshy pink fruit in the form of a four-peaked hat, like those worn by Catholic priests in the past. 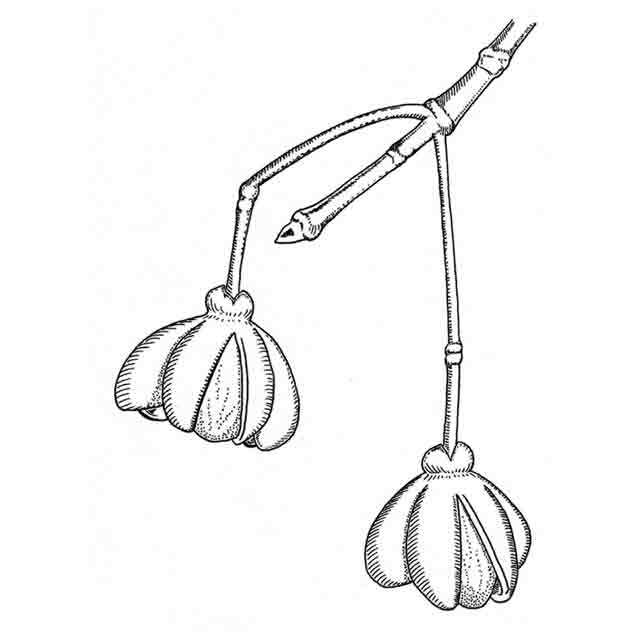 It is characteristic of the spindle (genus Euonymus). Broad flat part of the leaf not including the stalk. Waxy covering on leaves, fruits and other organs that gives them an opaque and whitish appearance. Modified leaf that accompanies the flowers, fruit, buds, true leaves or other organs of a plant. It is usually smaller than the normal leaves. 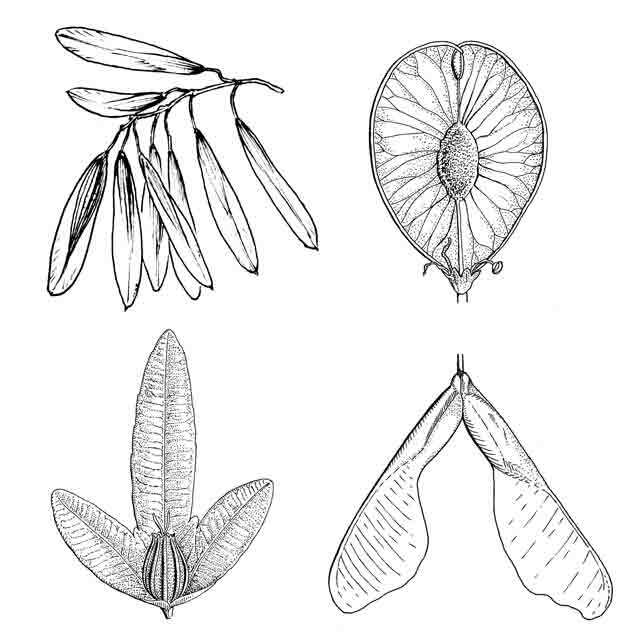 For example, the flowers of the linden tree (genus Tilia) have a very characteristically tongue-shaped bract. Small organ or shoot that is normally covered by small, modified, scale-like leaves, from which leaves or flowers develop. 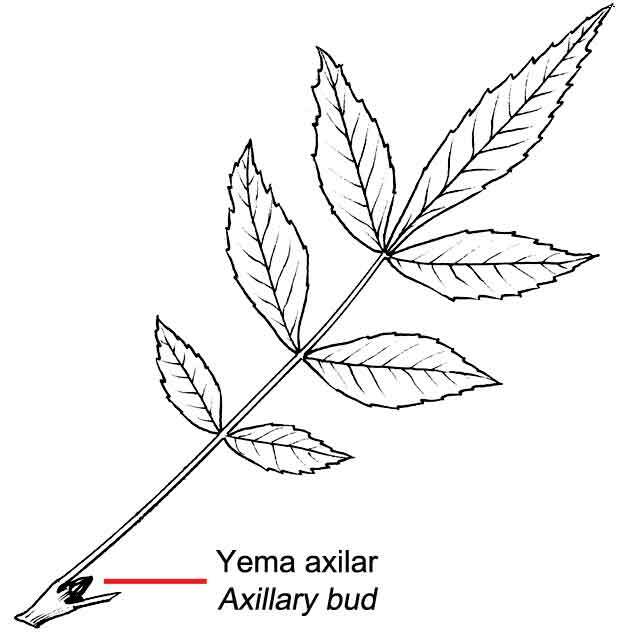 It is known as an axillary bud if it is located where the stalk joins the stem or branch. This is the upper layer of leaves in a tree. It is an important ecological factor because it protects the ground from winds and storms, and casts a shade that directly influences the development of the plants that live underneath. Dry fruit that opens when ripe to release the seeds it contains, such as those of the eucalyptuses (genus Eucalyptus), the boxwoods (genus Buxus) and the tree tobacco (Nicotiana glauca). 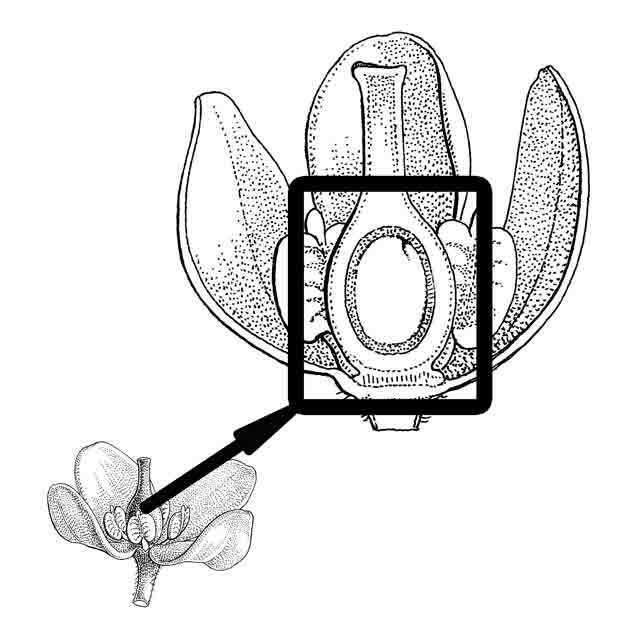 Modified folded leaves that create closed cavities, the ovaries of the flower, within which the ova develop. A group of flowers that normally forms a tight cluster or sprig. They usually hang down and are unisexual (i.e., either male or female) and do not have petals. They are typical, for example, on willows (genus Salix), poplars (genus Populus), alders (genus Alnus), hazels (genus Corylus), birches (genus Betula) and chestnut (genus Castanea) trees. Fine hairs like eyelashes that form around certain plant structures. 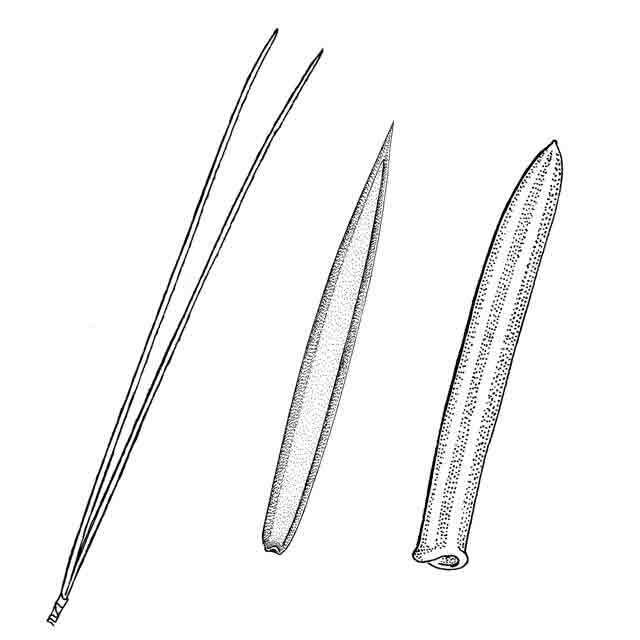 Beech (Fagus sylvatica) leaves and the fruits of the aspen (Ulmus laevis) have cilia on their margins and are therefore known as ciliated. 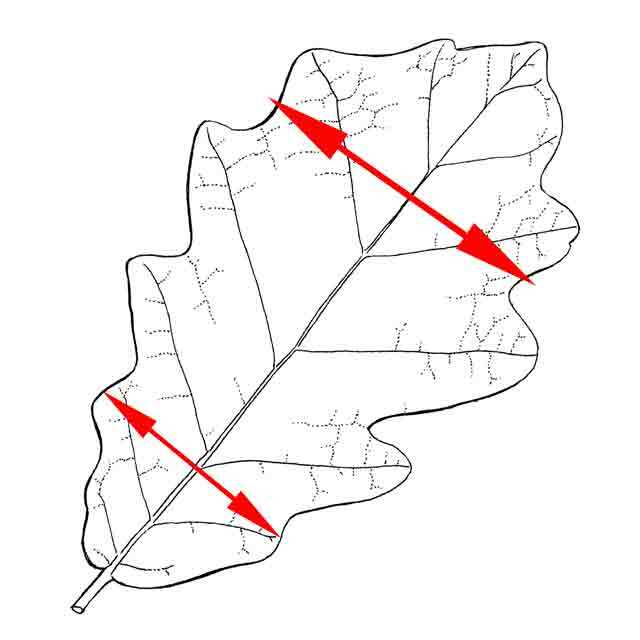 Relating to a leaf formed by a series of leaflets located around a main axis or stalk. 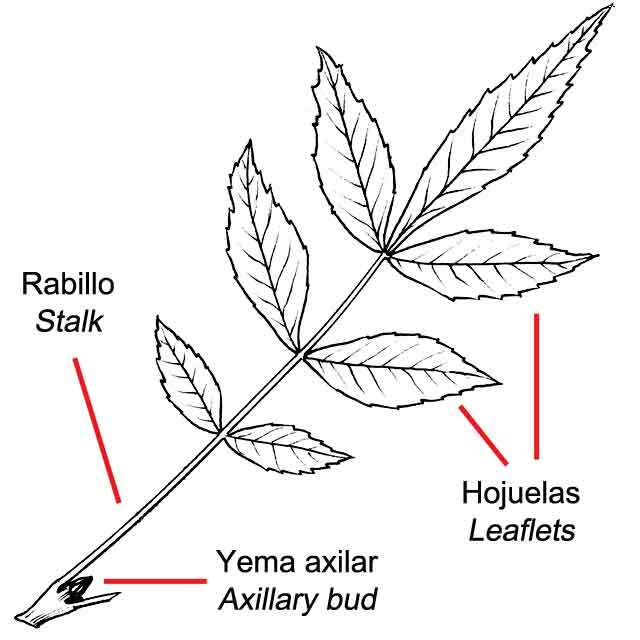 The leaflets do not have an axillary bud at the base of the stalk, this is found at the place the main axis joins, which groups together all the leaflets with the stem or branch. 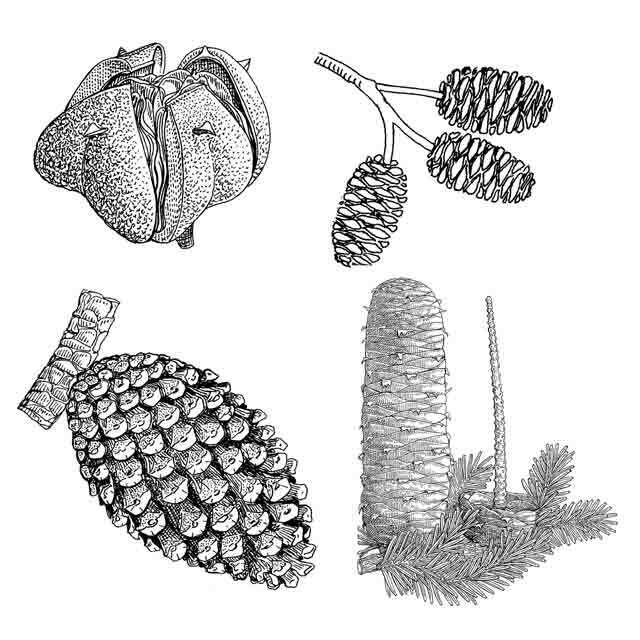 False fruit of the conifers (pines, firs, etc.) formed of a woody structure with a central axis, around which is a series of scales that enclose the seeds (pine nuts). The alder (Alnus glutinosa) has a fruit very reminiscent of a conifer cone, but much smaller (2 cm). When the small winged seeds are released, the cones remain on the tree, often throughout the winter. 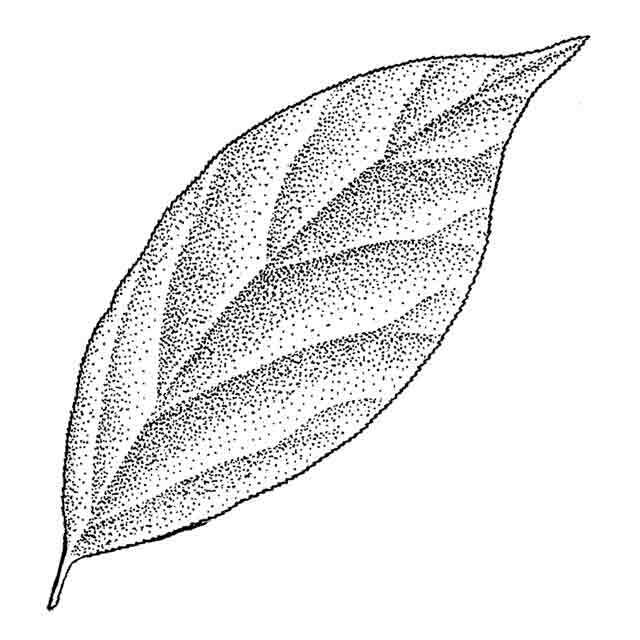 Relating to a leaf whose margin has blunt teeth forming a pattern of small waves. Not to be confused with a leaf blade that is undulating or wavy. The upper part of a tree that branches or spreads out. 1. (see persistent) Relating to short-lived organs, such as the leaves that many trees lose in the autumn or winter. 2. (see evergreen) Plants that do not keep their leaves throughout the year as they lose them in the autumn or winter. Fleshy fruit containing a stone, like cherries and olives. Dutch elm disease is an illness that affects elm trees (genus Ulmus). It is produced by a fungus from the genus Ophiostoma and is transmitted by bark beetles from the family Scolytinae. In the adult phase these insects drill into the wood to deposit their eggs and leave behind spores of the fungus, which were stuck to their body. These germinate, the fungus grows and collapses the sap-conducting channels, leading to the death of the tree. 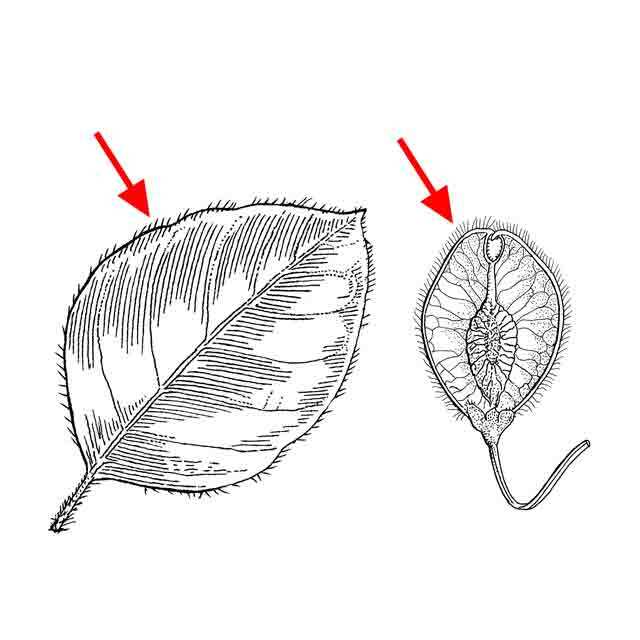 Relating to a leaf shaped like an inverted egg, i.e., with the widest part towards the end. Relating to a leaf in the shape of an ellipse. 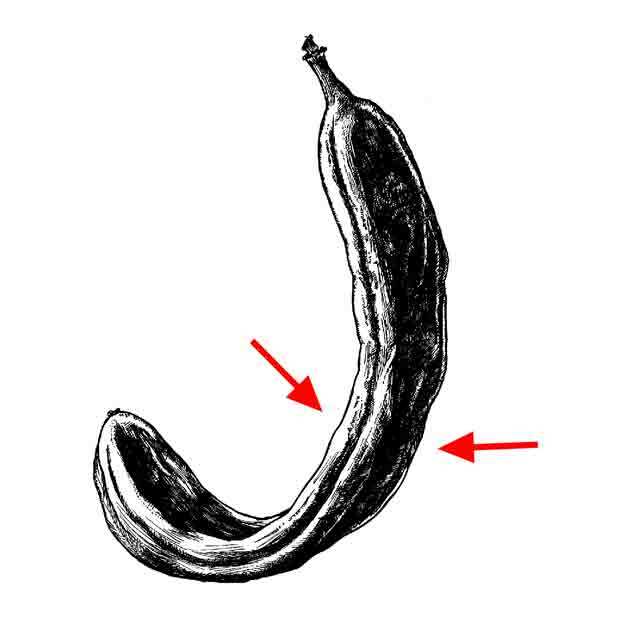 Relating to a leaf whose margin is completely smooth, with no teeth, points or other type of breaks. A plant that grows in the wild, but which comes from seed of cultivated plant. 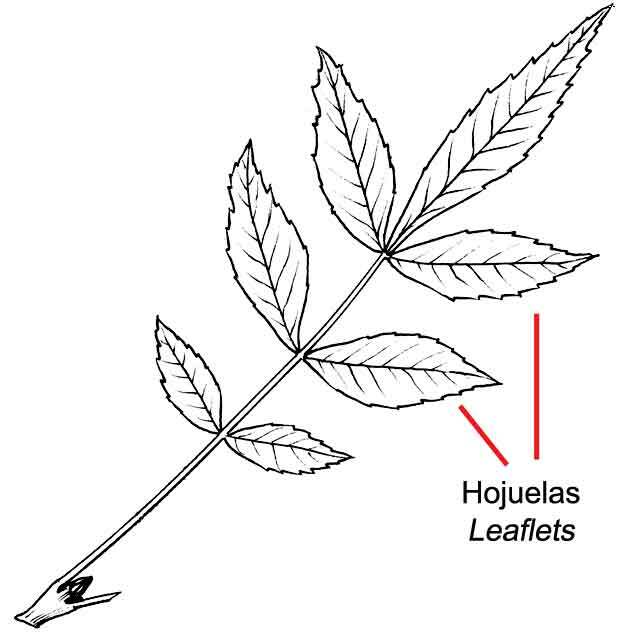 Compound leaf with an even number of leaflets that are usually arranged in facing pairs along the main axis or stalk. Plants that have green leaves throughout the year, like pines (genus Pinus), holm oaks (Quercus ilex) and laurels (Laurus nobilis). This is because they do not lose their old leaves before producing the new ones. Structure that in flowering plants (angiosperms) forms from the fertilised flower. It can be dry or fleshy and contains the seeds. In gymnosperms (pines, firs, yews, etc.) true fruits are not produced, and the seeds develop within structures known as false fruits, like the cones of pines (genus Pinus), galbuli of some junipers (genus Juniperus), and the fleshy seed coats, arils, of yews (Taxus baccata). Fleshy, rounded false fruit, characteristic of junipers (genus Juniperus), They do not open when ripe and contain a few seeds. Tumour-like structure generated by the plant to defend itself from parasitic insects that deposit their eggs in it. 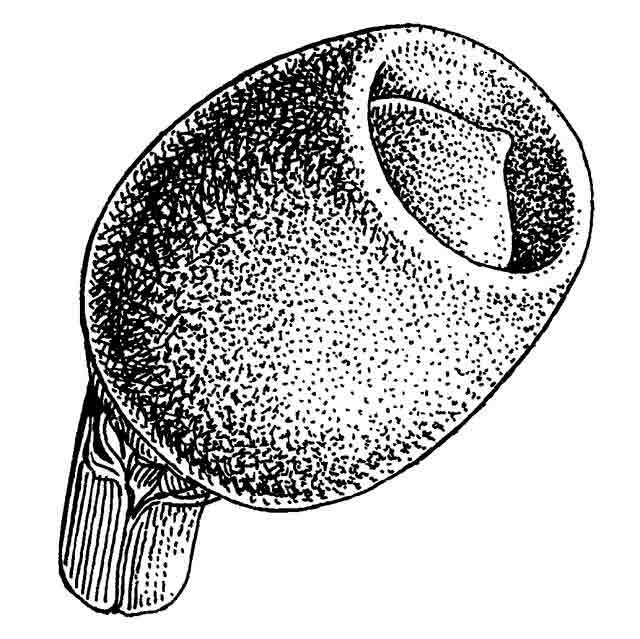 The plant reacts and forms a tumour-like mass of tissue around the egg, isolating it and producing the gall. 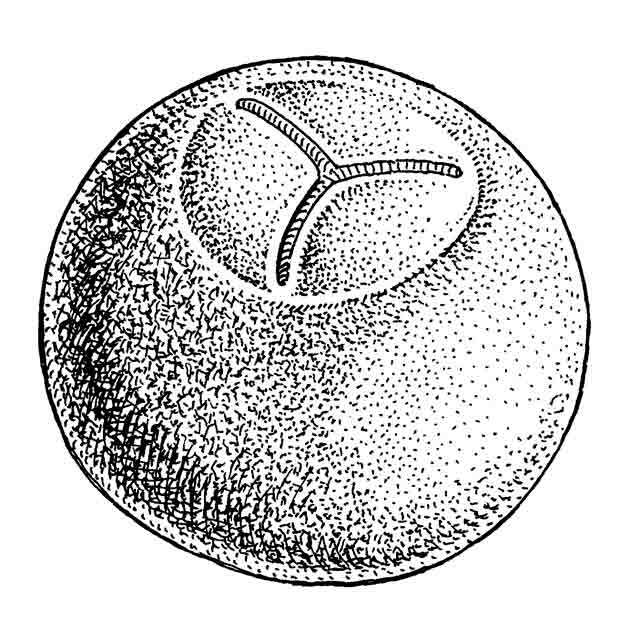 The egg hatches and the larva is protected and surrounded by soft tissue that serves as food and shelter. After metamorphosis, the adult insect makes an exit hole and the gall dries up. These structures are very diverse in form and size. They may appear on buds, leaves, young shoots and other parts of the plant. They are common in some species of the genus Quercus. These tend to be globose and may be confused with the fruit, which are acorns (to see Quercus pyrenaica Willd.). Cell or set of cells that accumulate and secrete substances. 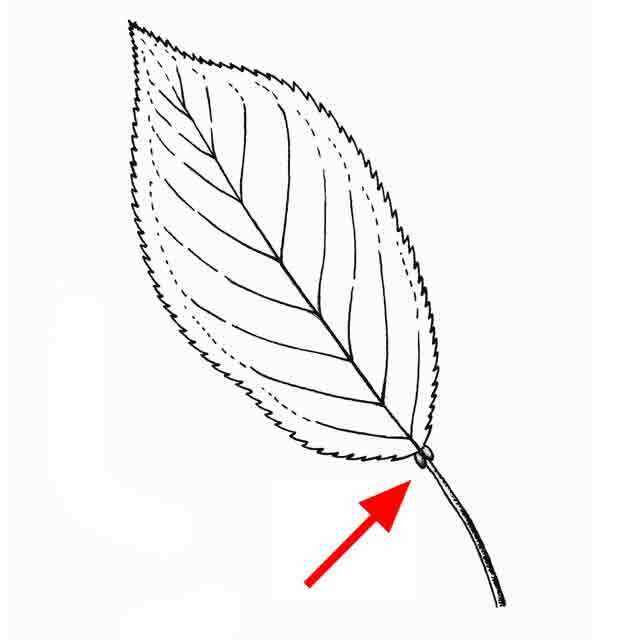 Some species of Prunus have a pair of glands on the leaf stalk. 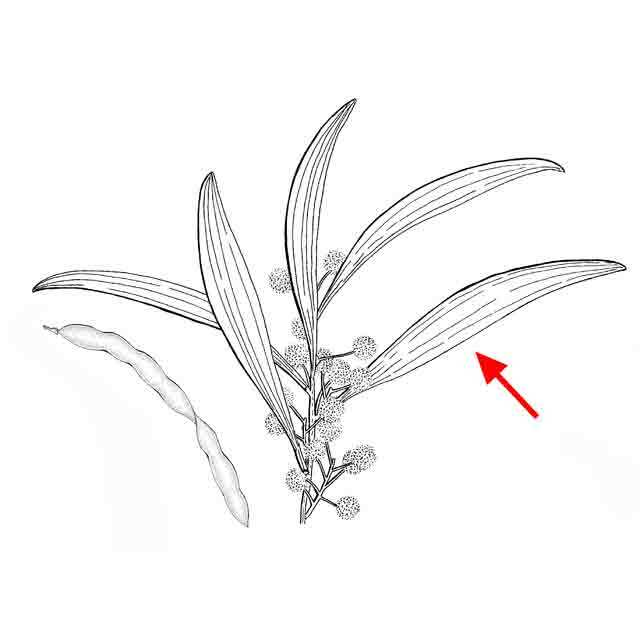 Also, plants from the genus Tamarix have glands like papillae that accumulate and secrete the salts that the plant absorbs from the ground. 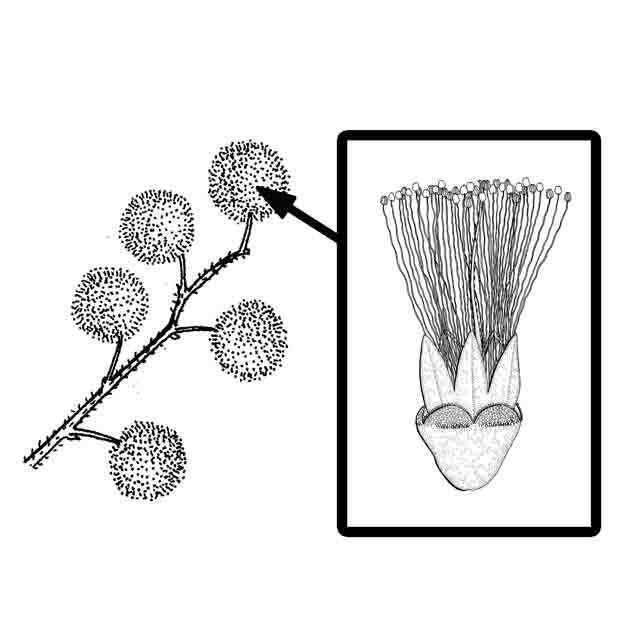 Arrangement of flowers in very dense, globose, or ball-like groups. Lacking thorns, spikes or prickles. A group of flowers. Sometimes the group can appear to be a single flower, although it is in fact formed by several blooms. Referring to a plant that has been voluntarily or involuntarily introduced by humans outside its natural range and which has naturalised, being harmful for native species or others of that region. Relating to a lance-like or spear-shaped leaf, i.e., elliptical and elongated, narrowing at both ends. 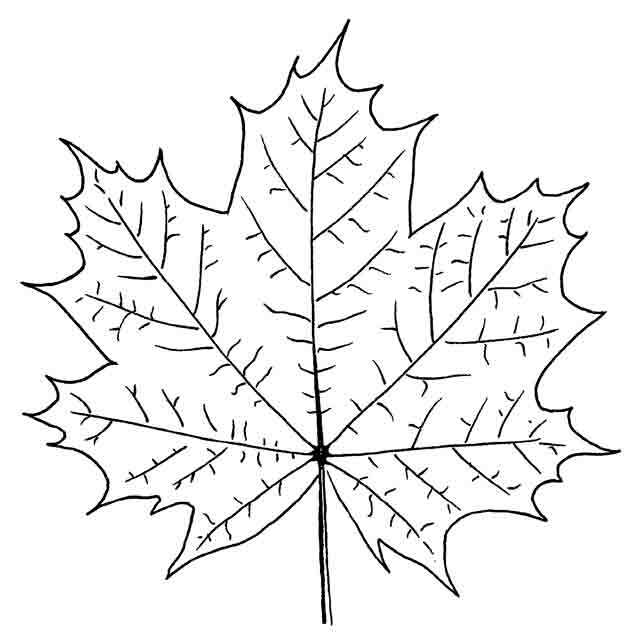 The milky liquid present in certain plants, like fig trees (Ficus carica) and some maples (genus Acer), which can be observed when a leaf or twig is broken off. 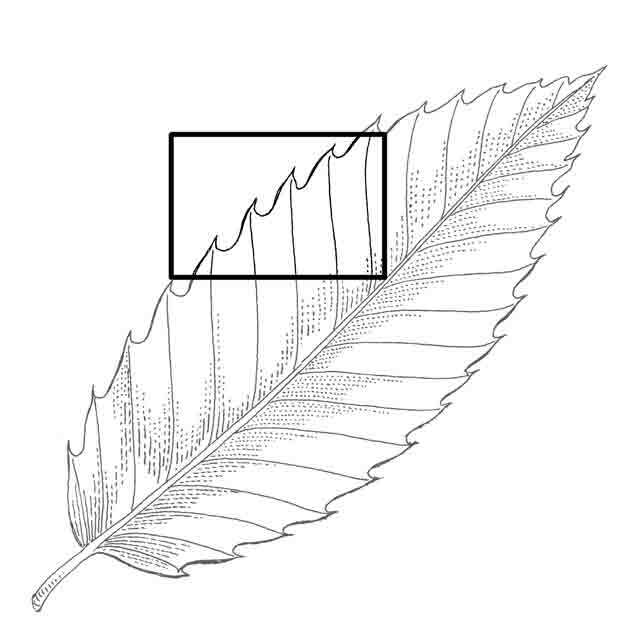 Type of leaf that allows plants to regulate excess environmental humidity, enabling them to correctly transpire and respire. The name comes from the laurel tree (Laurus nobilis), which thanks to the waxy layer covering its leaves is able to repel water. They finish in a sharp point that favours the dripping off of liquid. Each of the leaf-like parts that makes up a compound leaf. They do no have axial buds. Relating to a leaf that is strong but flexible, reminiscent of leather, such as those of the holm oak (Quercus ilex), the laurel (Laurus nobilis), the strawberry tree (Arbutus unedo) and the eucalyptus (genus Eucalyptus). Dry fruit characteristic of leguminous plants (family Leguminosae). 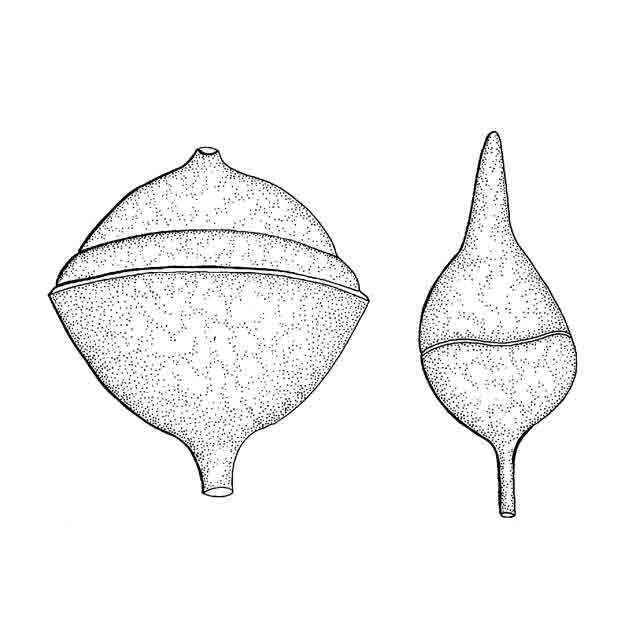 It is formed by two laminae or valves, often elongated, inside which are the seeds. 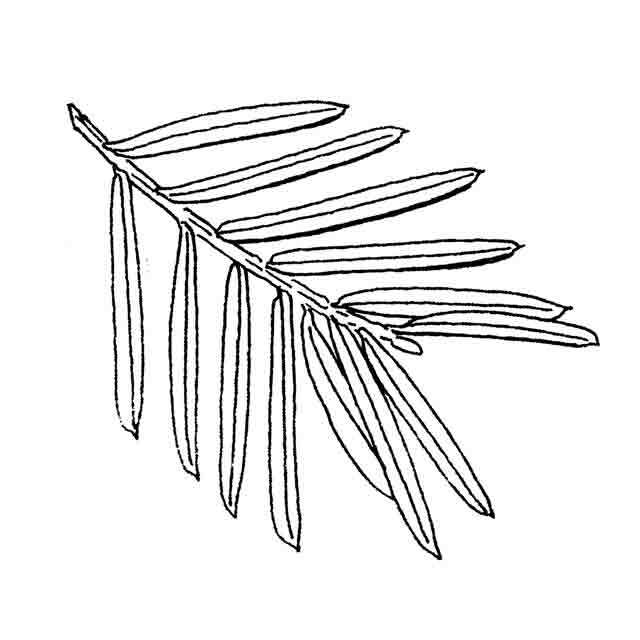 Relating to a leaf that very is elongated with quasi-parallel edges, like those of yews (Taxus baccata). 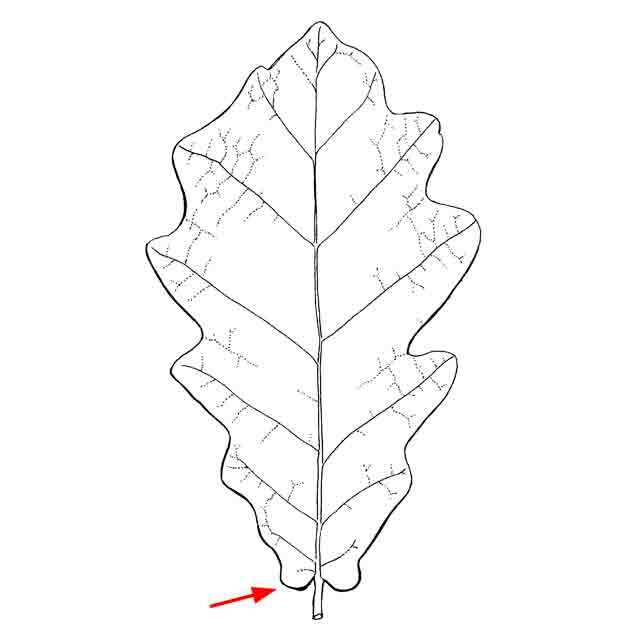 Rounded, protruding parts on the margin of leaves or other sections of a plant, such as on the leaves of oaks (genus Quercus), maples (genus Acer), hawthorns (genus Crataegus), fig trees (Ficus carica), planes (genus Platanus), and rowans (genus Sorbus). 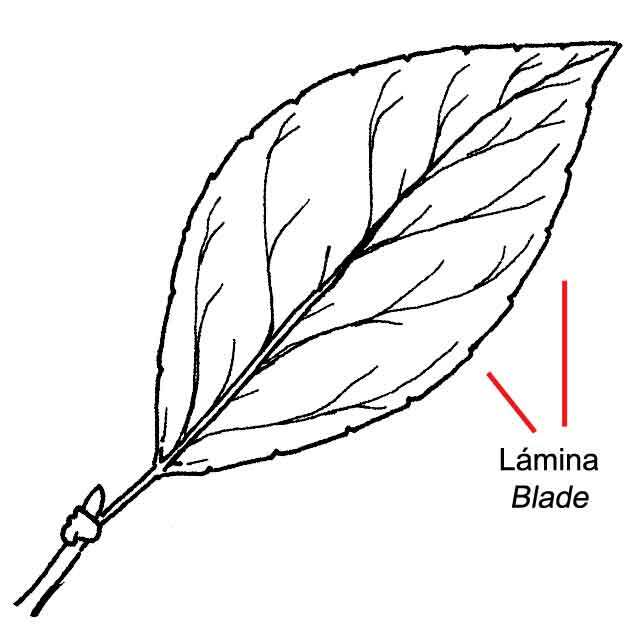 Not to be confused with a leaf blade which is undulating or wavy. 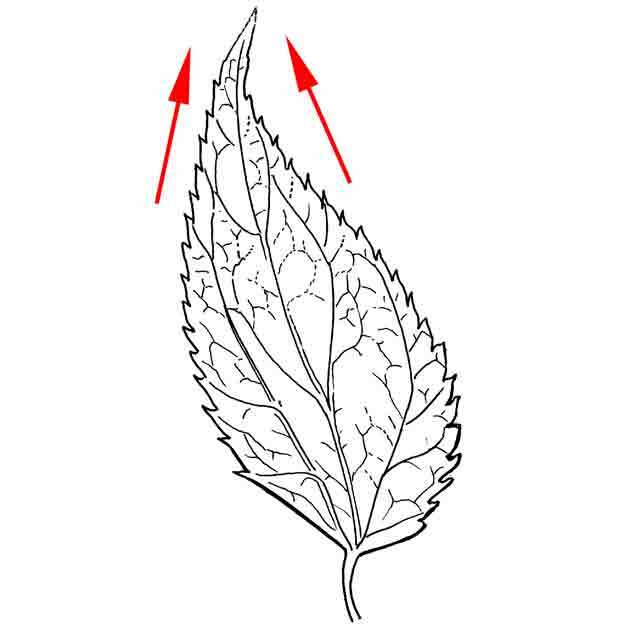 Edge or contour of a leaf that can be entire, crenate, toothed, lobed, serrated, sinuous, etc. Applied to plants with flowers that contain nectar which bees use to produce honey. Species assignment using only morphological characteristics. This is an artificial grouping of individuals that may be practical, but which requires deeper analyses (microscopic, quantitative, genetic, etc.) to determine whether the species are different or not. A plant that is indigenous to a particular country or region. This does not include plants introduced by humans, whether on purpose or not, or naturalised plants. A plant which is not indigenous is referred to as non-native, i.e., it is not native or indigenous to a particular country or region, but has been introduced or naturalised in that place. Plant that has been voluntarily or involuntarily introduced by humans outside its natural range and which prospers there as if it were native. A plant that is not indigenous or native to a particular country or region, which has been introduced by humans, whether on purpose or not, or which has become naturalised in that place. It is the opposite of native. With a notch or small slot at the end of the leaf, like in the silver fir (Abies alba). Relating to an elongated leaf, that is longer than it is wide. 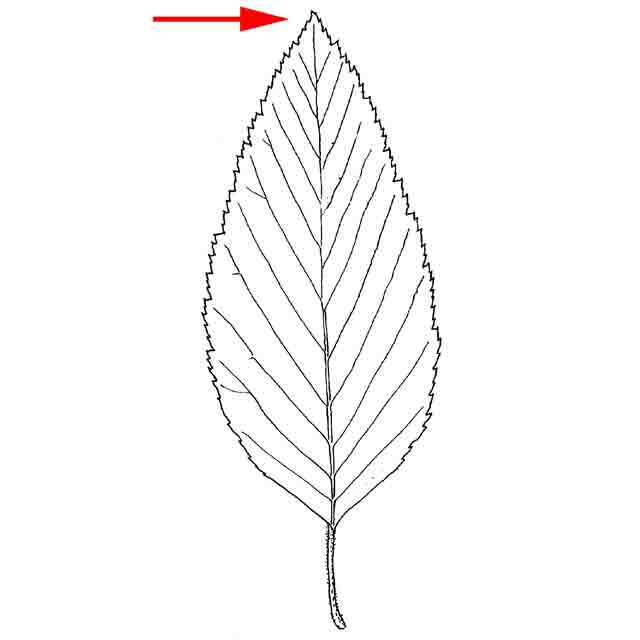 Compound leaf with an uneven number of leaflets that are usually arranged in facing pairs along the main axis or stalk and finished off by a terminal leaflet. Leaves arranged facing each other along the stem. 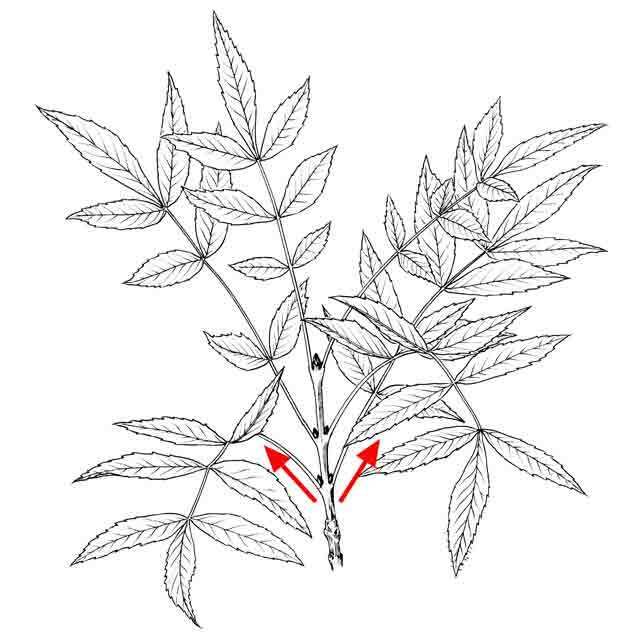 At each node there is a pair of leaves opposite each other that start at the same point. 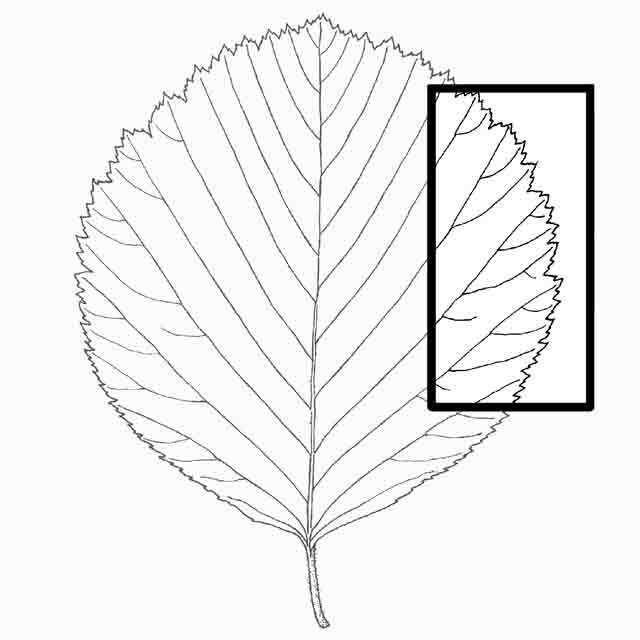 Relating to a circular or rounded leaf. 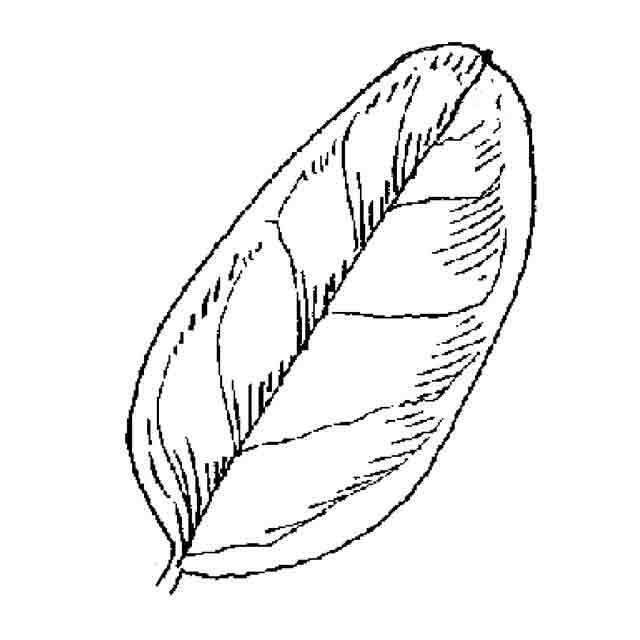 Relating to an oval leaf, or one shaped like an off-centre ellipse. 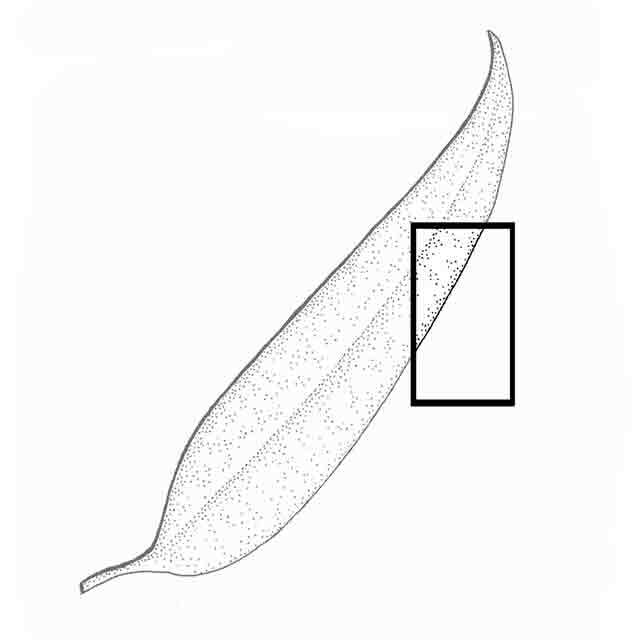 Relating to an oval or egg-shaped leaf, i.e., with the base wider than the end. Relating to a leaf shaped like an open hand. Small, finger-like protuberance on the surface of a leaf or other organ. In tamarisks (genus Tamarix) these are usually small salt-secreting glands. The leaves of plants that stay green throughout the year, like pines (genus Pinus) and holm oaks (Quercus ilex). The fact that a tree conserves its foliage during the dry or cold season is the reason the leaves are described as persistent, but this does not mean they are perennial. Modified flower leaf that sits over the sepals. 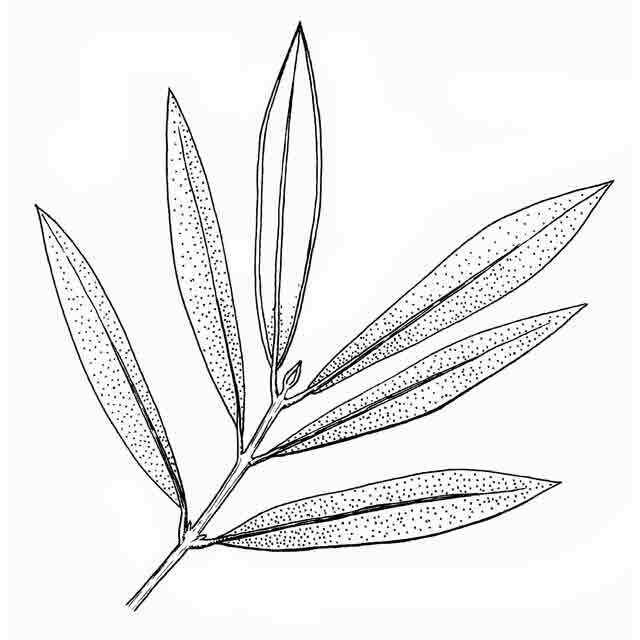 It is typically very thin and a different colour to the true leaves. 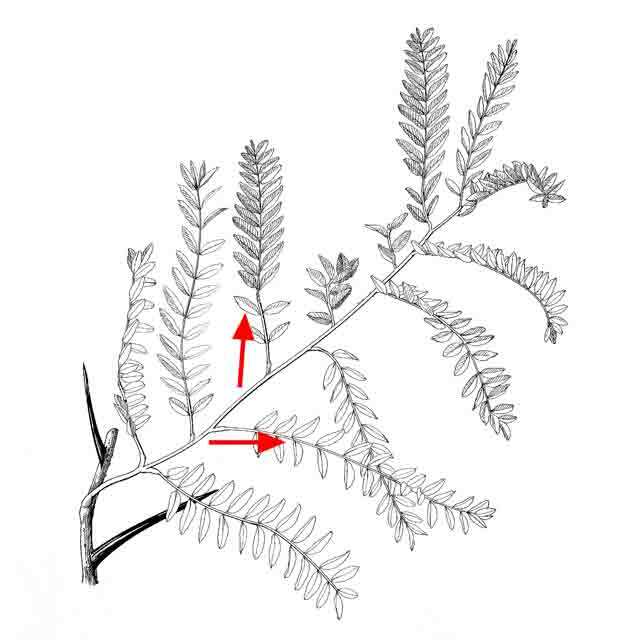 Broadening leaf stalk that in acacias (genus Acacia) looks like a leaf and fulfills the same function (photosynthesis). 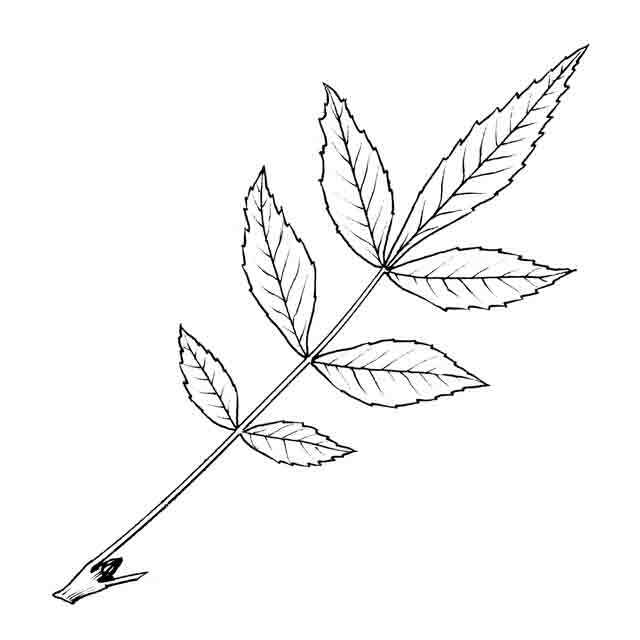 It is not a true leaf and does not have an axillary bud. Division or primary branch of a compound leaf. This is also the name for each leaflet of a compound leaf. Relating to a compound leaf formed of several leaflets. 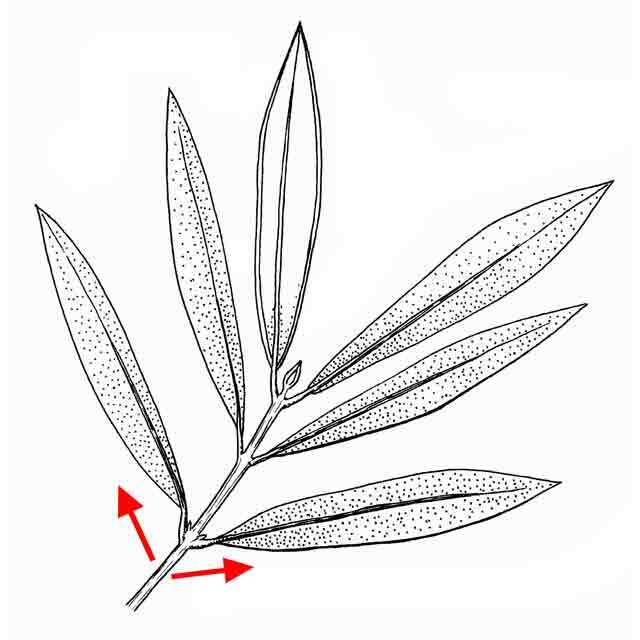 A pinnate leaf is formed of pinna arranged along both sides of a main axis or stalk. Fleshy fruit that does not open when ripe. 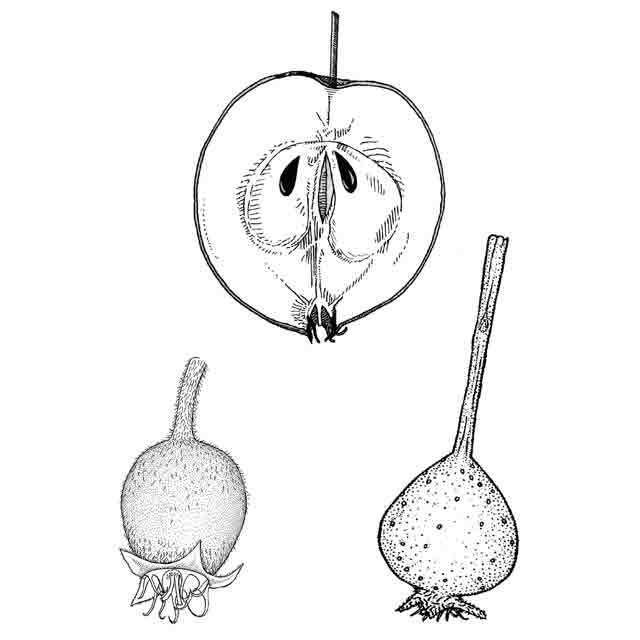 Rounded or pear-shaped with several seeds inside, like the fruit of apple trees (genus Malus), pear trees (genus Pyrus), hawthorn (genus Crataegus) and rowan (genus Sorbus). This describes a species that is a true floral 'relict', i.e., an evolutionarily very old species that had a wider range in the past. Frequently this type of species is in decline or on its way to becoming extinct. Relating to the banks of a river or stream. Dry fruit, that does not open when ripe (achene) and which has a membranous wing that facilitates its dispersion by the wind. It is typical of the maples (genus Acer), ashes (genus Fraxinus), elms (genus Ulmus) and tree of heaven (Ailanthus altissima). Relating to a leaf whose margin has inclined teeth like a saw blade. 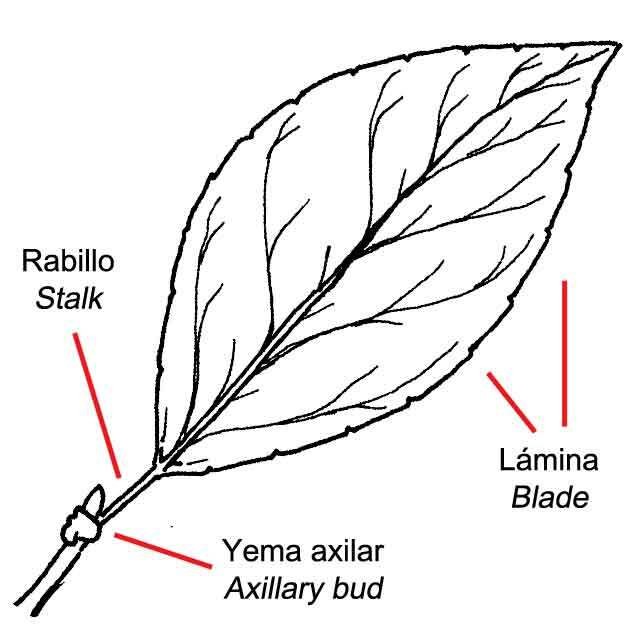 Relating to a leaf whose blade is not divided into leaflets and which normally has an axillary bud at the base of the stalk, i.e., where the main axis joins the stem or branch. Relating to a leaf whose margin has shallow waves. Not to be confused with a leaf blade that is undulating or wavy. 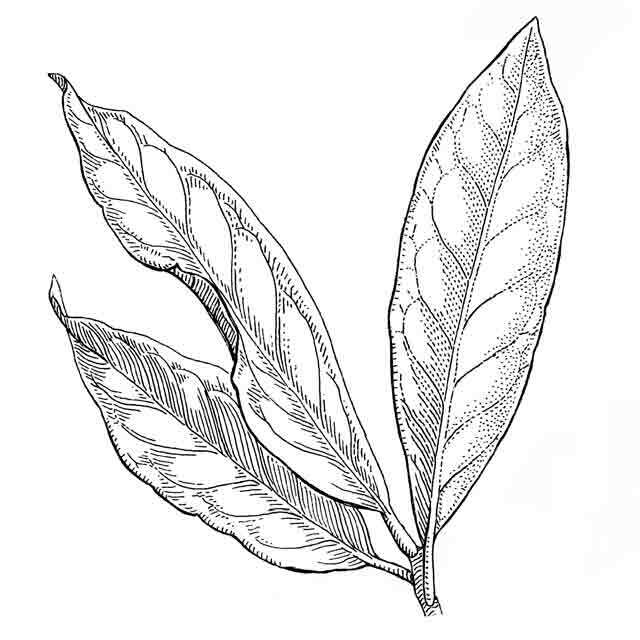 Relating to a spoon-shaped leaf, narrow at the base and broadening towards the apex. Plant which becomes established and reproduces without human intervention (i.e., the opposite of a cultivated plant). Not to be confused with native, as naturalised species are spontaneous, but not native. A plant is referred to as sub-spontaneous when it escapes into natural spaces, establishes itself and reproduces without human intervention, giving rise to small, not very viable populations that are not really able to prosper. Each of the elongated elements that form the male organ of a flower. They usually comprise a filament on whose upper part are the anthers, which contain the pollen. Temporary or permanent relationship established between two different species from which both benefit. Soft hairs, like felt, that cover the organs of some plants, such as the fruits of the almond tree (Prunus dulcis) and one or both sides of certain leaves. Relating to a leaf whose margin has straight, pointed teeth. Almost colourless or amber liquid with a characteristic scent that is obtained by distilling the resin of various coniferous species and other aromatic plants like the terebinth (Pistacia terebinthus). It is used as a paint solvent, a raw material for making synthetic aromatic compound, and in some disinfectants. 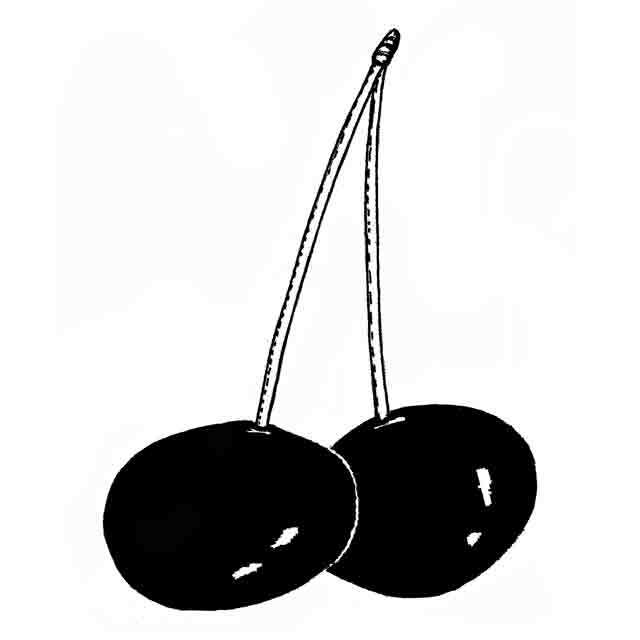 Having a navel-like depression, such as is seen on apples and olives. Lower face of a leaf, that is generally paler than the upper face or upper side. 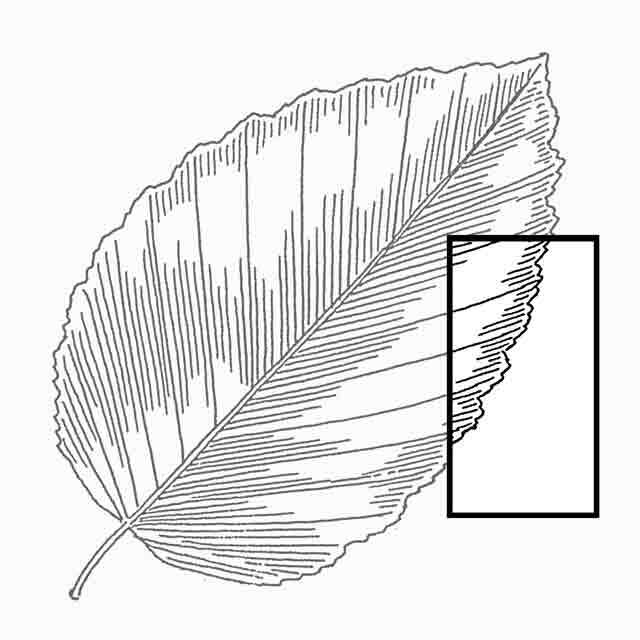 Relating to a leaf whose blade is not flat but which has a wavy surface. Not to be confused with a sinuous, crenate or lobed leaf margin. Beech leaves are usually undulating. 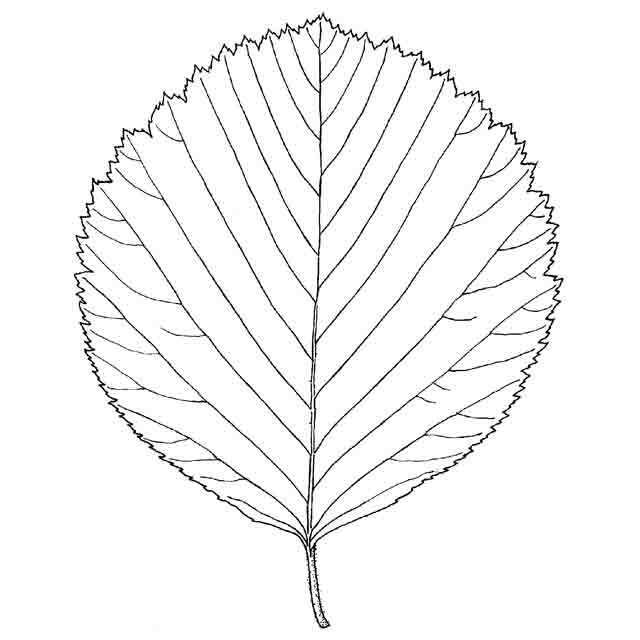 Upper face of a leaf that is generally brighter coloured than the lower face or underside. 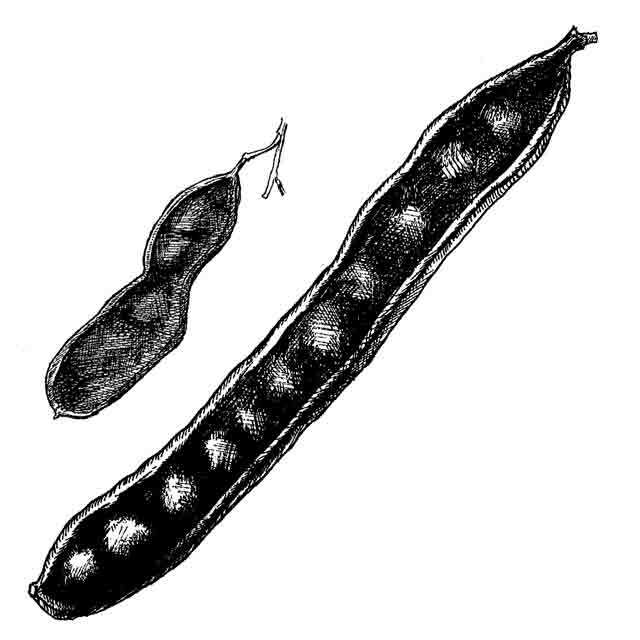 Each of the parts into which certain fruit are divided, such as legumes (family Leguminosae). 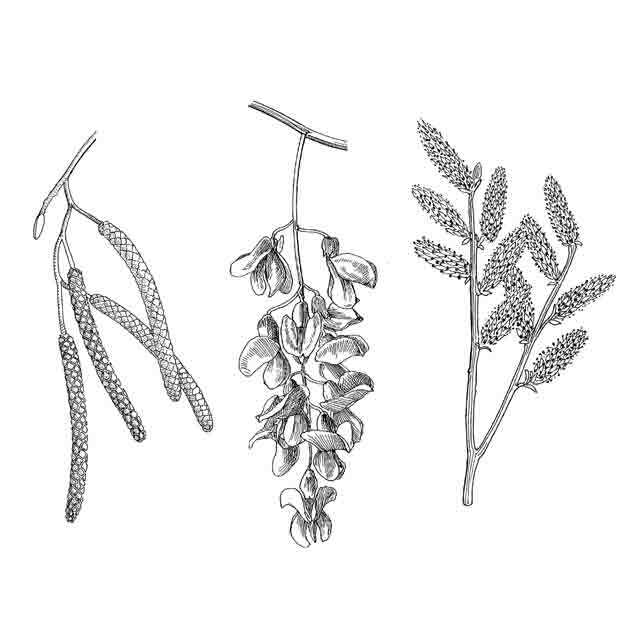 An arrangement of three or more leaves, flowers, etc., that come out from the same level on the axis or stem, so that at each knot/joint there are more than two leaves, etc., like in the case of heathers (genus Erica) and some junipers (genus Juniperus); (see opposite and alternate).